Combine 2 cans of trufﬂe peelings with 150ml White Trufﬂe Oil in food processor and process until ﬁnely ground. Combine all ingredients and mix well, set aside. 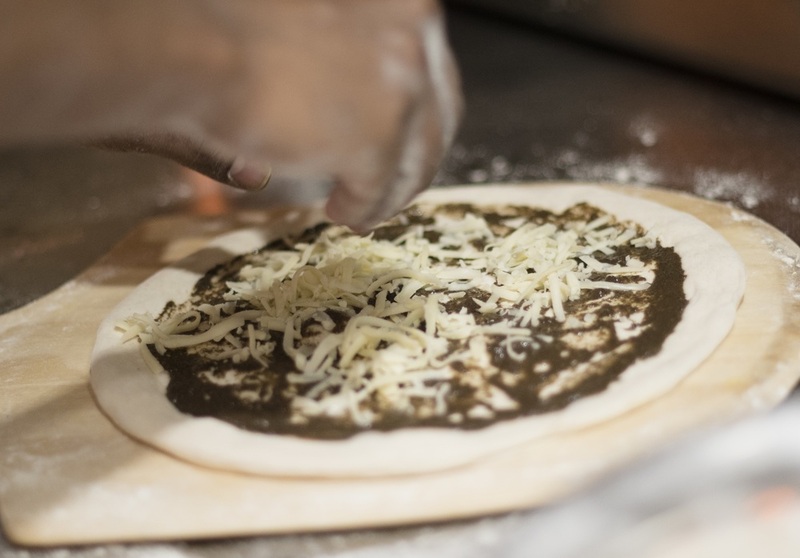 Roll out one portion of dough. 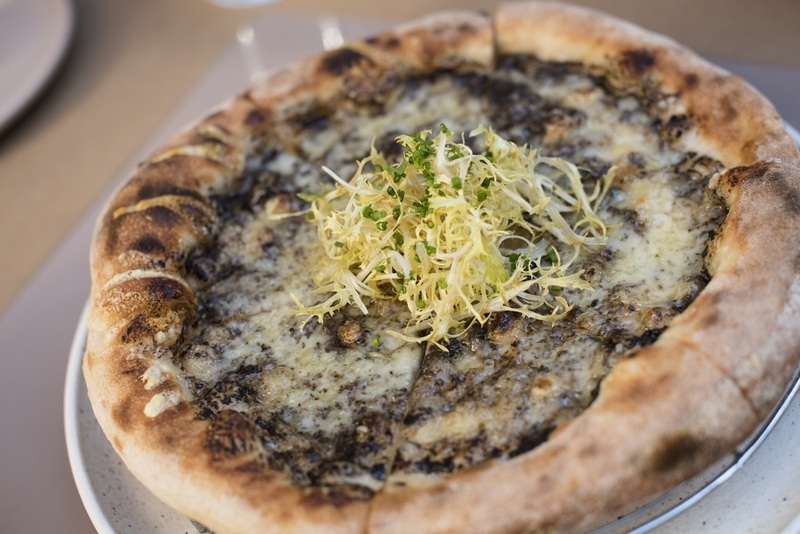 Place trufﬂe sauce on dough; sprinkle fontina cheese on top and bake in a hot oven until well crisped and blisters are a bit burned. Cut into quarters and top center of pizza with a small amount of frisee lettuce dressed with House dressing and chives.